Automatic garage door openers provide drive-right-in convenience. Simply press a button, and the door opens and closes in quick succession, meaning you never have to exit your vehicle. If it malfunctions, however, you could be left out in the heat until repairs can be made. Frequent breakdowns indicate replacement. 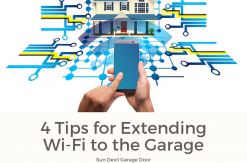 You may also want to consider replacing the until for a smart garage door opener. Here are some frequently asked questions to consider when shopping for a new garage door opener. Even if your garage door opener isn’t nearing its expiration date, there are still more than few reasons you may need or want to splurge on an upgrade, along with professional installation. Reasons to replace include an opener that experiences frequent mechanical breakdowns, has recently become nosier, or lacks the convenient features that today’s models provide. What drive type should I buy? Chain drive openers use a metal chain to drive the trolley and raise or lower the door. This is the most economical choice but also the loudest. If you live in a home where the garage is situated directly under a bedroom or living area, noise will be a concern, and you may be better off choosing one of the other options. Belt drive openers are sleek and quiet. These openers have the same mechanisms found on chain drives, minus the metal chain, making them ideal for property owners who value silence. Another advantage is that belt drives have fewer parts which helps prevent costly malfunctions. Screw drive openers use a threaded steel rod to quickly move the trolley. These units are generally quieter than chain drives but nosier than belt drives. Also, like belt drives, these units have fewer moving parts. That means reduced maintenance (monthly testing is still required though). Jackshaft operators can be mounted on your garage wall, which saves considerable ceiling space, and come standard with ultra-quiet DC motors. Occupants of bedrooms directly above the garage will thank you for purchasing a jackshaft operator since they provide super quiet and smooth operation. Should I invest in high-cycle springs? Contrary to popular belief, the garage door opener doesn’t provide lifting power; the springs do. Although there are two types of springs available – extension and torsion – most experts prefer torsion for residential and commercial applications. Torsion springs are available in a variety of configurations and with either 10,000-cycles (standard) or 20,000-cycles (high-cycle). If you open and close the garage door four times a day, you’ve already spent 1,460 cycles in a year’s time, so you can expect a replacement schedule of about six years. For a few dollars more, you can double spring lifespan. Long gone are the days when you had to manually operate your garage door. 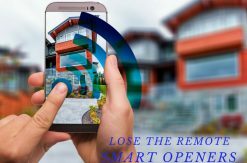 Smart garage door openers can be operated via a smartphone app, which lets you control and monitor the door from anywhere, anytime. You can even integrate it with other smart devices for total home automation. For example, through a service like IFTTT, you could set your lights to automatically turn on as the door is opening. Geofencing is another available feature that can be enabled. Whether you have concerns about the safety of your opener, or you’d like to benefit from today’s advancements in technology, it’s always advisable to invest in the professional installation of your new garage door opener. Professionals have the experience and equipment to ensure all makes and models are installed properly and operating safely. 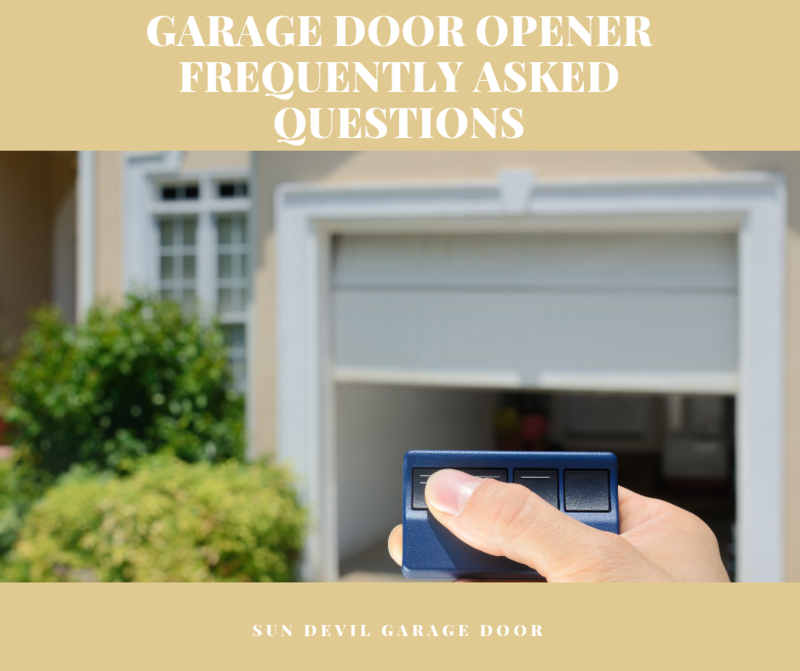 If you’re interested in replacing your automatic opener, contact Sun Devil Garage Door at, (480) 600-3762. 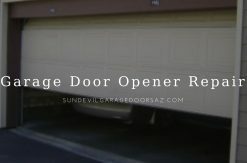 Sun Devil Garage Door is a locally owned and operated garage door repair, installation and service company, with a team of experienced professionals serving the greater Phoenix metro area.